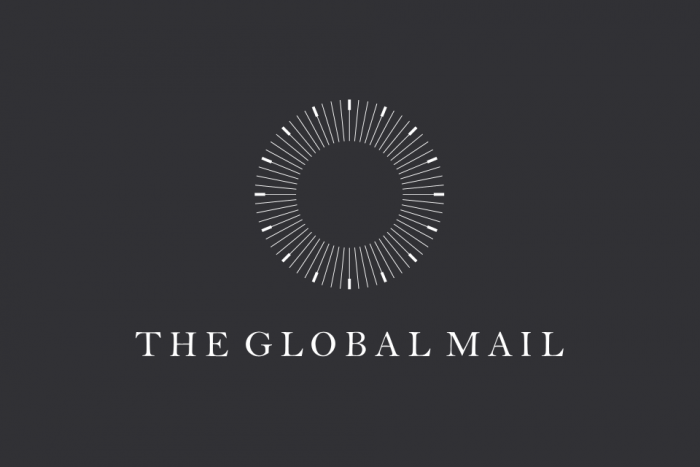 Jan. 30, 2014, 9:13 p.m.
By Alexandra Wake Jan. 30, 2014, 9:13 p.m.
One of the counterpoints to that generalization has been The Global Mail, an Australian site funded by Internet entrepreneur Graeme Wood, who in 2012 pledged to give at least $15 million Australian (roughly $13 million in American dollars) over five years. But on Thursday Wood said he will no longer fund the site, leaving its future in question. It’s an imperfect metaphor, but imagine if the Sandlers had suddenly stopped funding for ProPublica 23 months into its life. Here, in a piece from another Australian nonprofit media site, The Conversation, Australian journalism academic Alexandra Wake looks at how its potential closure could affect the nation’s media ecosystem. 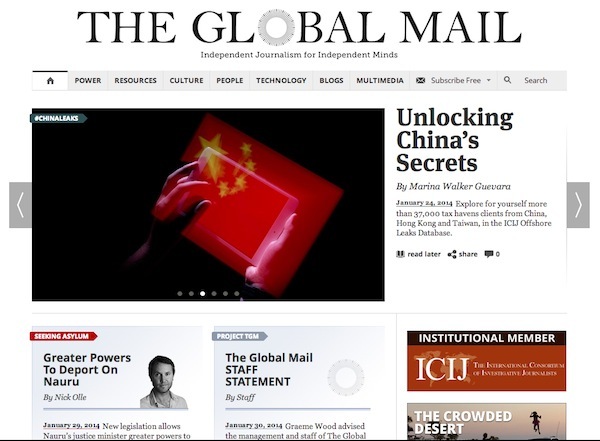 There are no great surprises in the announcement by Wotif founder and philanthropist Graeme Wood that he will no longer fund not-for-profit online journalism venture The Global Mail (TGM). I think eventually there’ll be a financial business model for this sort of thing, but it ain’t there yet. While Wood got his quality journalism without a piece of advertising to destroy reading pleasure, he has still chosen to cease funding the site from February 20. The site is now urgently seeking another backer. The product was good, featuring some of the best work by some of Australia’s finest journalists. TGM won multiple awards, not just under the leadership of foundation editor Monica Attard, but also those who followed under Attard’s replacement Lauren Martin. It also attracted readers — not the click-baiters who read a headline, click and run — but those who stay on site for between five and 10 minutes. TGM’s 2013 readership peaked in May with over 315,000 visits and 258,000 unique visitors, while the monthly average for the year was 120,000 uniques. Its initial audience on launch in February 2012 was 97,000 unique visitors. In December, Wood suffered a personal financial kick (reportedly as high as A$48 million) after Wotif’s share price plunged almost 32 percent off a profit downgrade. Wood, whose stake in Wotif stands at 20 percent after selling just under two million shares in October, told TGM staff simply that “his circumstances had changed” and has offered to help someone else take over the business if another financial backer appears. According to a statement, TGM is pursuing both philanthropic and commercial opportunities. But finding a commercial savior seems unlikely without a track record in advertising. TGM had a good base, worthy of sale, but it hasn’t pulled in the readers in the same way as its younger and sexier daily counterpart The Guardian Australia, which Wood is also funding. TGM’s demise was really foreshadowed the moment The Guardian’s digital experts started targeting the Australian market. It’s an increasingly crowded but potentially profitable market for Australia’s influential iPad reading public. And The Guardian, under the editorship of Katharine Viner, proved to be the publication of choice, attracting close to 1.2 million browsers per month in October last year to place it inside Australia’s top 10 news websites. Unlike TGM’s previous incarnation, The Guardian is easy to navigate on all devices, and its digital bells and whistles don’t detract from the stories. TGM attracted criticism upon launch for its unique side-scrolling layout, leading to a sweeping redesign in October 2012. When Wood decided to back The Guardian, he said there was room for both, and that he really supported “independent quality journalism” which he saw as “a foundation of a healthy and civil society.” But with The Guardian he was upfront: He wanted the Australian edition to make money. That’s something The Guardian, with its increasing readership, can potentially offer. While the closure of TGM isn’t the positive start to the year the Australian media industry had hoped for, it shouldn’t be considered a knock-out punch. will be fiercely independent and offer the definitive news source for readers who want depth at the end of a cluttered weekly news cycle. The New Daily, which launched in November 2013, is part-funded by a new player, the industry superfunds network. And the U.K. Daily Mail’s Australian edition will launch this year, with plans to recruit around 50 journalists. There is more a need than ever for the journalist as a truth-teller, sense-maker, explainer. Alex Wake has been a journalist for 25 years. She’s worked in print, radio, television and online in Australia, South Africa, Ireland, and Dubai. She continues to work as a freelance broadcaster, but teaches full time at RMIT University. POSTED Jan. 30, 2014, 9:13 p.m.
Wake, Alexandra. "In Australia, an ambitious nonprofit news outlet has its funding pulled out from under it." Nieman Journalism Lab. Nieman Foundation for Journalism at Harvard, 30 Jan. 2014. Web. 18 Apr. 2019. Wake, Alexandra. "In Australia, an ambitious nonprofit news outlet has its funding pulled out from under it." Nieman Journalism Lab. Last modified January 30, 2014. Accessed April 18, 2019. https://www.niemanlab.org/2014/01/in-australia-an-ambitious-nonprofit-news-outlet-has-its-funding-pulled-out-from-under-it/.